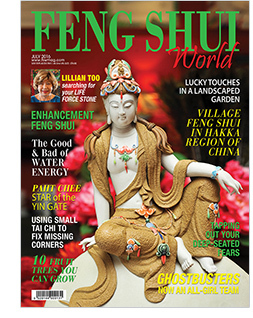 In this issue we feature the beautiful goddess of compassion Kuan Yin, sitting languidly on top of a full moon. She is the bringer of peace and happiness for all who reveres her. This month, the #6 divine star makes an appearance, so paying tribute to this magnificent bodhisattva triggers her benevolent blessings and protection! 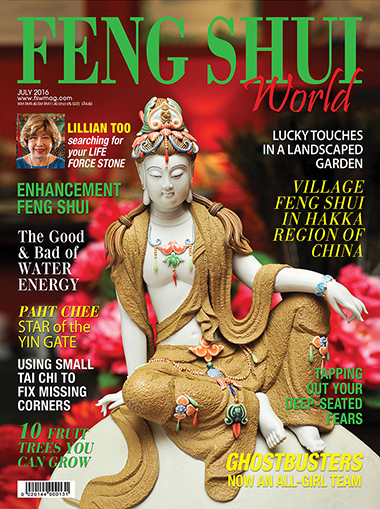 Invite Kuan Yin into your home and wear her mantra ring! 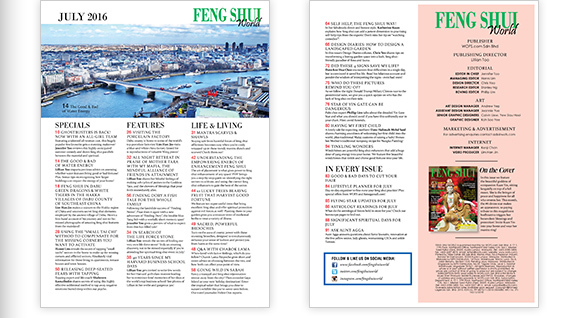 Page 64 : Self Help, The Feng Shui Way! Page 72 : Did These 4 Signs Save My Life? Page 75 : Who do These Pictures Remind You of?